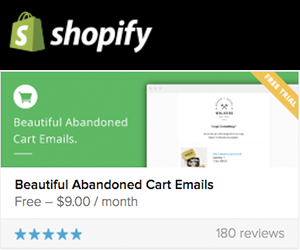 How do you get your customers falling in love with your store? It’s a dilemma for every retailer, but for many modern marketers, running a successful business is not just about making your store popular, it’s about turning your brand into a lovemark. Lovemarks is a revolutionary marketing concept coined by Kevin Roberts, CEO of the advertising agency Saatchi & Saatchi, the core concept of a Lovemark is to create a strong bond that’s about love of product or service. Marketer Kevin Duncan says in order for a brand to be a Lovemark, they have to be both respected and loved in equal measures. I asked around the office to find out what our team's lovemarks are and why. I love Urban Outfitters - I first started shopping there because I love their clothes but now I'm in love with their brand and my wardrobe and house feels like an Urban Outfitters catalogue. I think it's because their beautiful image-filled, regular newsletters just feel like they are crying out to me "This is you" but I can't really explain my love for them. I love interior design, and IKEA to me is a destination, I can happily get lost in their stores or online. IKEA makes shopping fun. I am constantly changing and re-creating my home and I love looking through the inspiration boards and planning tools to design my next project. I also look towards their brand for their forward thinking resources and customer service tools they use to improve every customers’ experience. Six Barrel Soda would have to be it. Tucked away down an alleyway and upstairs, their cafe/shop is full of life, color, and daffodils! Because they package and bottle their soda on the premises, you can’t help but feel somehow involved in the creativity somehow. Their staff are always welcoming and go the extra mile to remember their customers. So… what big brands are known lovemarks? There are many brands which excel at creating strong customer connection and have customers that fall in love with their products. Coca-Cola is a good example of a lovemark, through their marketing they create strong engagement and they also invite their customers to participate in many of their campaigns to experience a genuine bond to their products. Their ‘Share a Coke’ campaign created excitement with mass-produced personalized messaging, not only can customers find their names on bottles of Coca-Cola at a supermarket, they can also head online to the website, personalize their bottle with their name, then share it. Because the campaign succeeds in being creative and personal, it has proved incredibly successful in both driving engagement and sales. In Australia alone Coca-Cola sold more than 250 million named bottles and cans in a nation of just under 23 million people. Retail store Nordstrom are another well known lovemark for their fantastic and consistent service. Nordstrom’s service is personalized and their staff approach every situation with creativity to deliver a memorable customer experience that makes their shoppers feel special and appreciated. Part of the reason Nordstrom’s customer service is so topnotch is because their employees are empowered to make the best decision based on the unique situation at hand, using their judgment to deliver the best possible customer service. You can read more from Michah’s post here. Fun Fact: It’s not just businesses that can be lovemarks. Places, people and sports teams can also be lovemarks too, check out the Lovemarks website and list of brands here! How can you make your retail store into a Lovemark? The good news is, you don’t have to spend millions of dollars on marketing to be a lovemark. Consistently great service and a good range of product offerings makes your business really stand out and become something your customers form strong attachment to. Think about that cafe you always go to and tell all your friends about; chances are they provide you with great service and quality coffee or food every time. Lovemarks often surprise their customers with little extras or in the case of bigger businesses additional services or new product releases. The businesses that become lovemarks are the ones who deliver that consistent pairing of top notch service and great product range, and a creative approach. Businesses who are swooned over and loved are the ones that deliver practically, while also creating a great experience. Offering one-on-one service ensures your customers feel like they are being well looked after by your staff. One-on-one service helps build relationships and allow your customers to really experience your brand. Create a customer loyalty program to reward your loyal customers for shopping and referring friends. 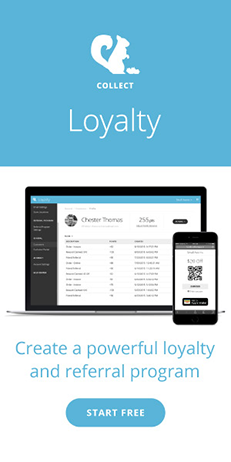 Collect Loyalty allows you to customize your program with your logo and rewards to suite your store. Little additional touches such as handwritten notes or thank you messages are a fantastic way to show your customers that you care about good service and you want to build a relationship with them, it's also a low-cost way of brightening your customers day. Get your brand social - Sharing personality filled content is a great way to remind your customers what they love about your business when they're not instore. An email newsletter is a great way to share your brand, keep with your customers, and entice them back into your store.